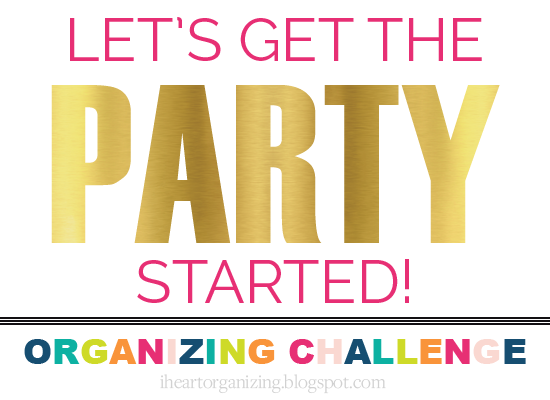 IHeart Organizing: Monthly Organizing Challenge: Let's Get The Party Started! 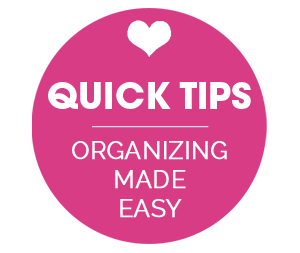 16 Monthly Organizing Challenge: Let's Get The Party Started! How was your Christmas holiday? 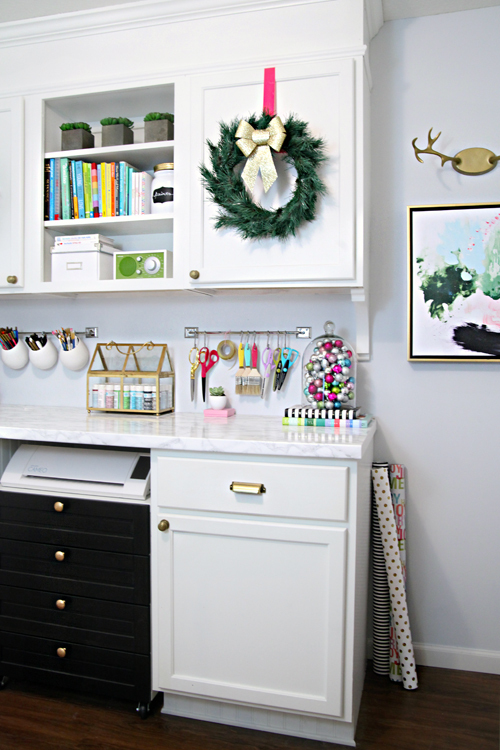 I am still in a cookie coma and have a fun filled week planned with the kiddos, however, it dawned on me this weekend that it was time for our final link party of the year! Let's end the year on a high note! 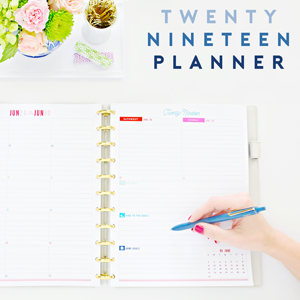 I don't know about you, but I LOVE this time of the month when you get to stop by and share your organizing projects with me! You can see many of the projects submitted last month in the recap post here. I think that will sum up the importance of these challenges and why I absolutely LOVE when you take a moment to share your projects with this amazing community. 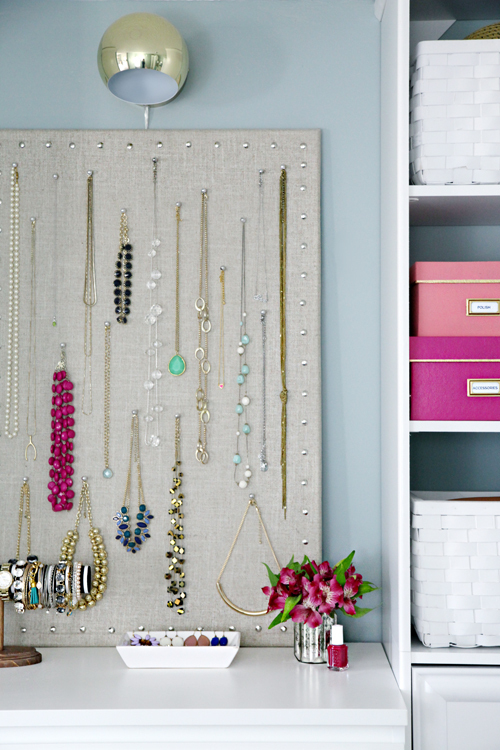 And remember, I love seeing anything and everything from organizing a purse or drawer to making over a closet or piece of furniture. 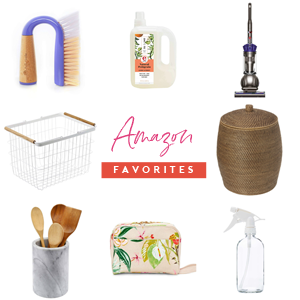 It has continued to be busy around here as we finished up a few organizing projects and even a master bedroom refresh to ramp up for our big kitchen update. Here is a round-up of some of our favorite projects since our previous link party. Knowing that our kitchen was about to be ripped to pieces, I knew we would crave a relaxing place to rest our heads in-between demo and installation. A little master bedroom and dressing room update and now we struggle to get out of bed to work on the kitchen. Funny how that goes, isn't it?! And you can find out how we saved on that refresh here. I was so honored when Home Depot offered to work with me on a fun painting project. 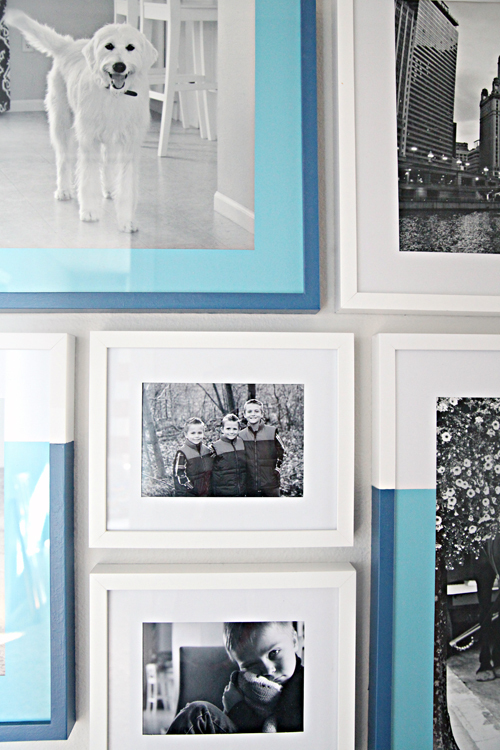 I instantly jumped at the opportunity to finish up a gallery wall we have been planning for years. Although it took us over a year to organize all of our storage areas (closets, garage, shed and storage room), we finally did it! 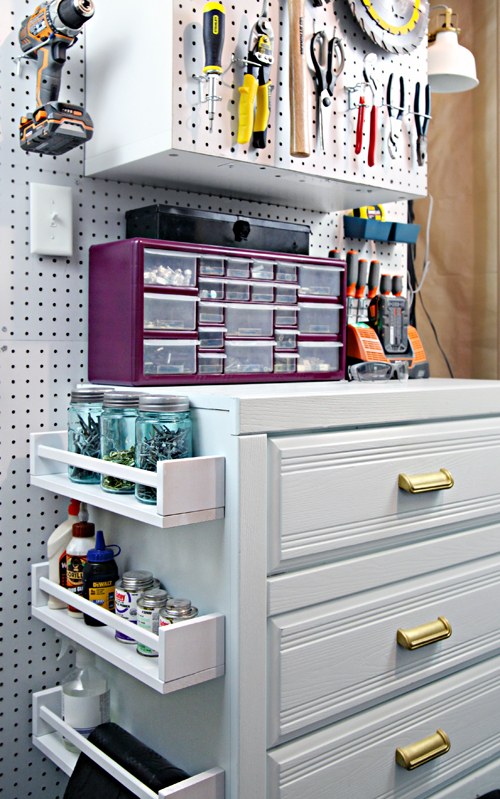 It was my goal to have our storage room organized with all of our tools for the kitchen renovation, and that was the final space to complete before kicking off our biggest project yet. It was such a victory for us, we are still celebrating the outcome! In-between finishing our storage room and putting a hole in our wall, I took a few days to head to Texas. 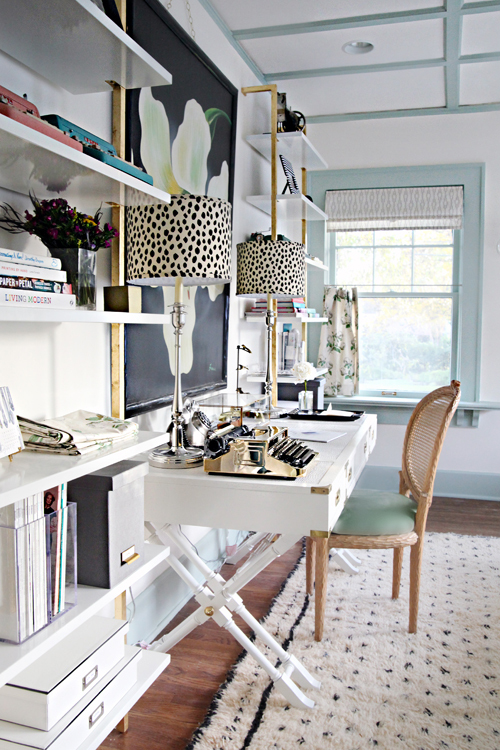 There was no lounging about it, I was there to work with a dear friend to organize her office / guest room. We were both thrilled with the opportunity to collaborate, and I was so sad to leave her (and her amazing space)! 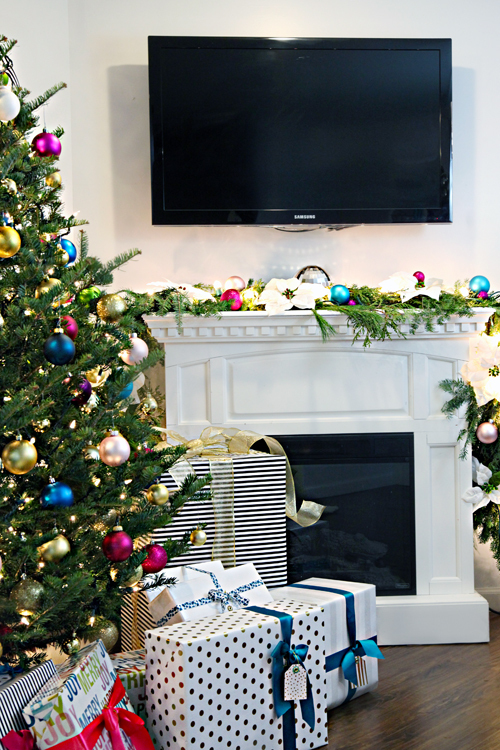 The holidays decided to sneak up on us, so we began decking the halls and walls. 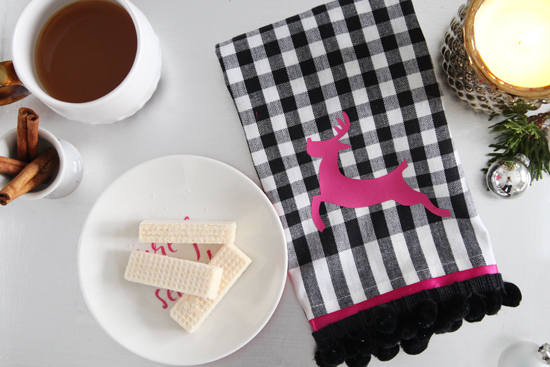 This year I was all about quick and easy projects and I kicked things off with some no sew embellished kitchen towels. As far as decking the halls was concerned, we decided to let it snow! 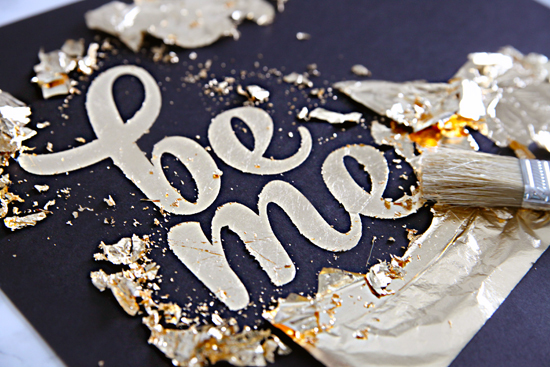 And to deck the walls we went with some glam diy gold foil art. 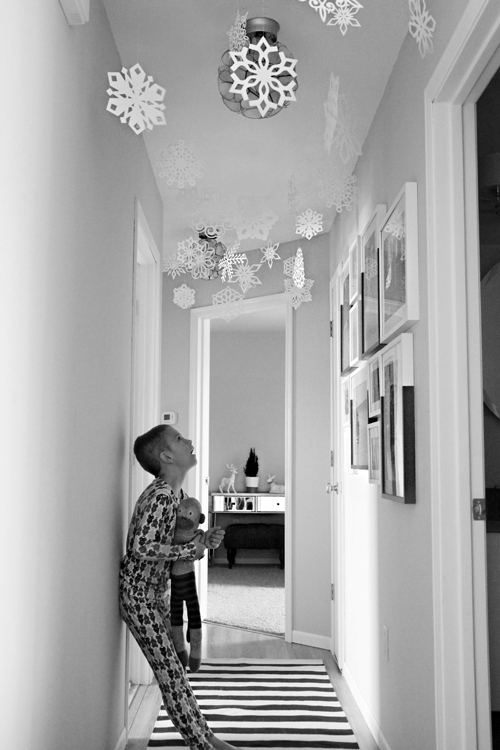 We shared the remainder of our simplified holiday decorating here. Now, it is your turn to link up and share your favorite projects with me! As always, an over-sized thank you to all who participate in these challenges. Checking out your posts is my guilty pleasure every month, so bring it on! This month I will also be sharing some of your projects via social media and as always, will be doing a recap at the end of the party. Psssst! I can't begin to express to you how excited and grateful I am for the number of inquiries I received in response to my call for 2015 contributors! I received such an overwhelming response, I have been making sure to give each submission my full attention. I hope to have decisions made and emails sent within the next few days. Smooches to everyone that took time to write in! IHeart Organizing is not responsible for the content uploaded and shared within the Monthly Link Parties on within the #wiorn hashtag feed. However, it is a great way to join together in making organizing fun, so let's use our best internet etiquette and have a great time with this social party. Hi Jen, I have obviously missed your call for contributors, was it on the blog? Can't think how I missed it as I read religiously whenever your emails come through. Is it too late now? If not, how do I apply? Happy Holidays Jen! 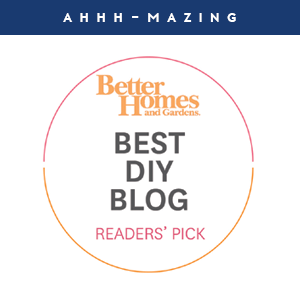 Your home is absolutely gorgeous and I loved your holiday home tour. Thanks so much for offering these link parties - it has been so fun to participate throughout the year. Can't wait to see what is in store for I Heart Organizing in 2015! I love your link party Jen! So many good ideas! 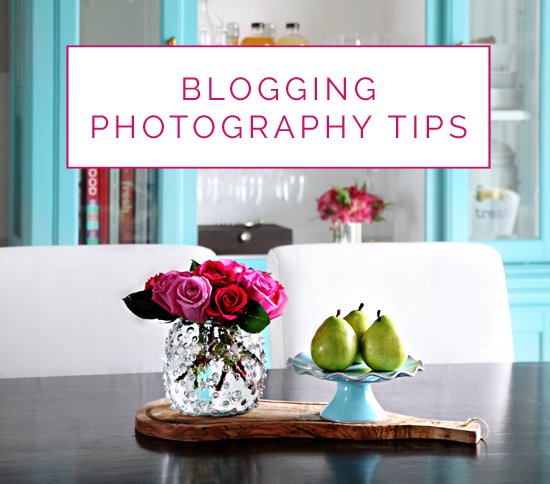 Jen, I love your blog! 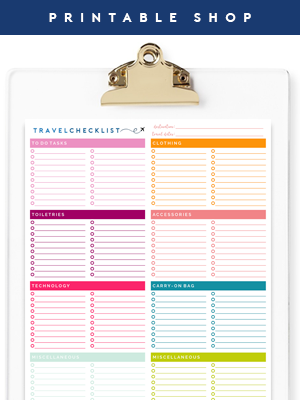 I'm thinking of getting your planner pages from Etsy and I'm wondering where you get your binder that you use for your own planner. Thanks in advance! Thanks for hosting Jen and I hope you have a fab New Year, you photography tips was the post that really inspired me this year, I'm off in the holidays to grab a lightbox etc, thank you. I loved looking at your Christmas decorating pictures and then got caught up going thru your home tour again! I think I pinned like 4 pictures. Also, thank you so much for the pointers on photography. I needed every one of them! One more thing--can you tell me your favorite place to get wrapping paper? Thank you for a fun party my dear!!! There is not a single photo on this page I'm not in love with! Gah! 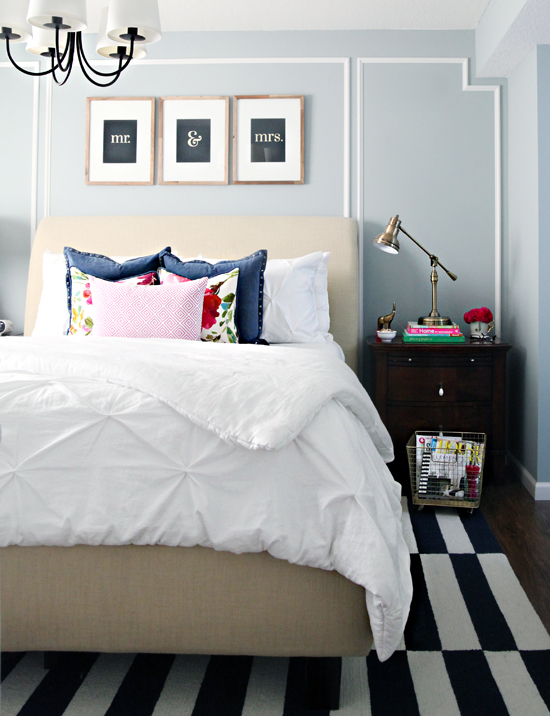 Those frames above your bed are ADORABLE! How did you go about making them? I appreciate you holding these fun parties. I love seeing others organizing triumphs!